Point Betsie lighthouse standing on dune of the northeast shore of Lake Michigan, at the southern entrance to the Manitou Passage — north of Frankfort in Benzie County in Northern Michigan. The cylindrical tower is 39 feet tall. 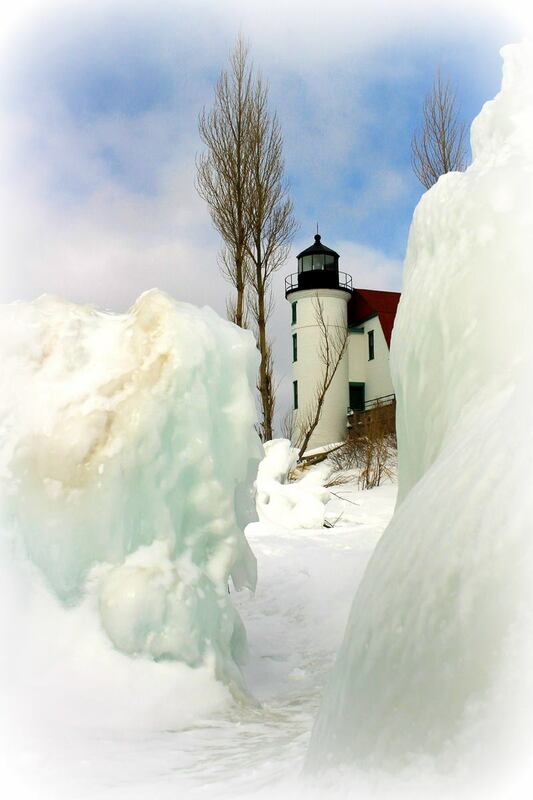 The quick 4 years construction completed in 1858 with total cost of $5,000 and since 1859 its began to start service. 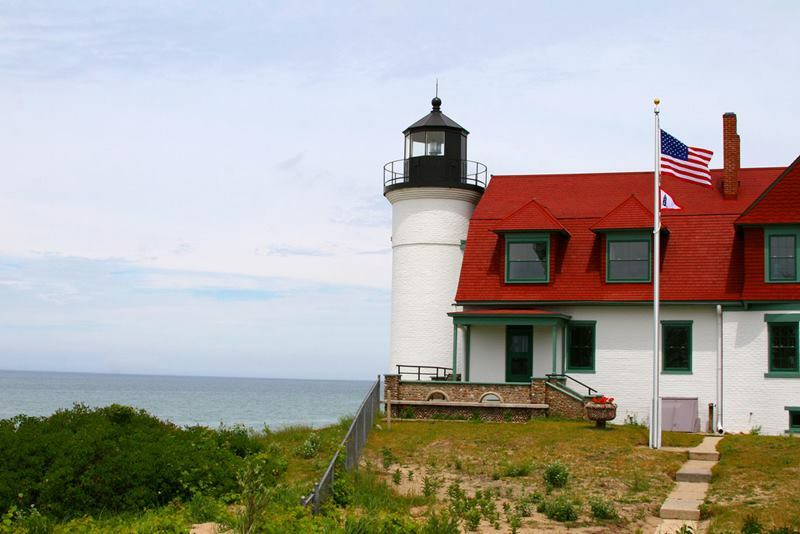 This was one of the earliest Life Saving Stations, and was run under the auspices of the U.S. Life-Saving Service. 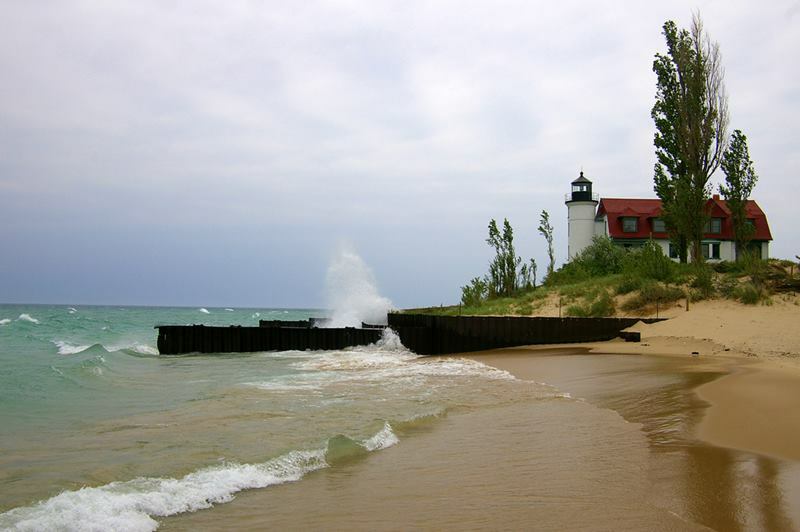 Known now as Point Betsie, this historic landmark found on the eastern shore of Lake Michigan was originally named Pointe Aux Bec Scies, meaning point of sawbill ducks, by French explorers. The parapet has a red roof that matches the keepers dwelling. 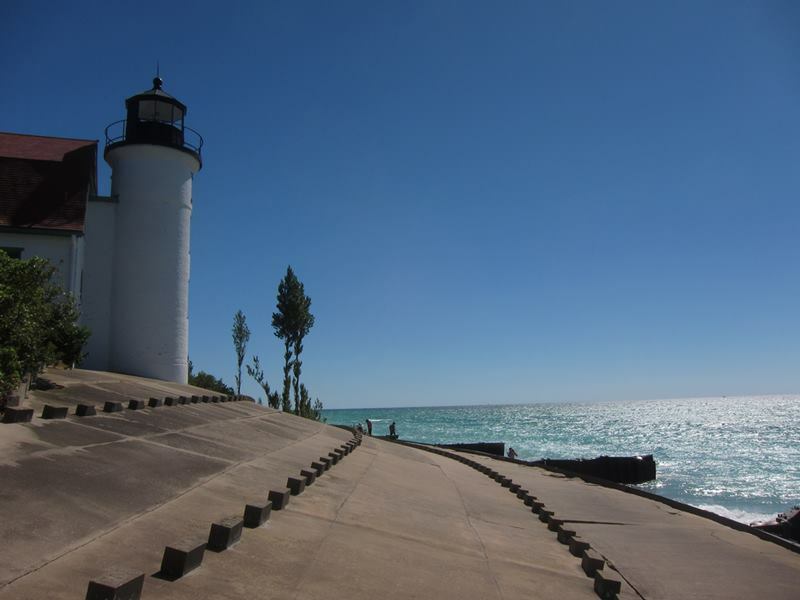 The importance of this lighthouse to navigation, the Lighthouse Board suggested in 1880 that the short tower be replaced with a new one hundred foot structure, however the new tower was never built. The cast iron lantern room was equipped in 1858 with a Fourth Order lens, which had served at the station for 104 years was removed from the tower in 1996 and replaced with a Vega VRB-25 250 mm acrylic optic. 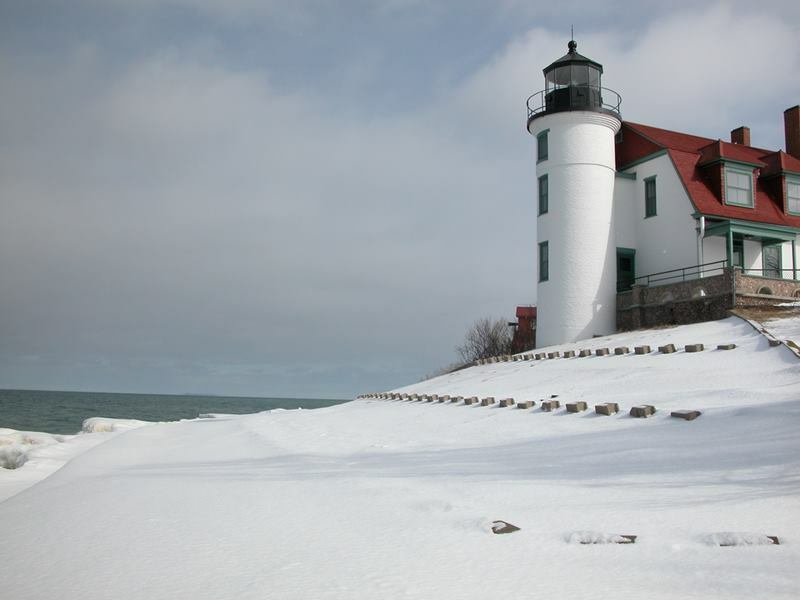 The old lens was carefully moved to the Sleeping Bear National Lakeshore Park headquarters building, where it was placed on display and where it may be seen to this day. 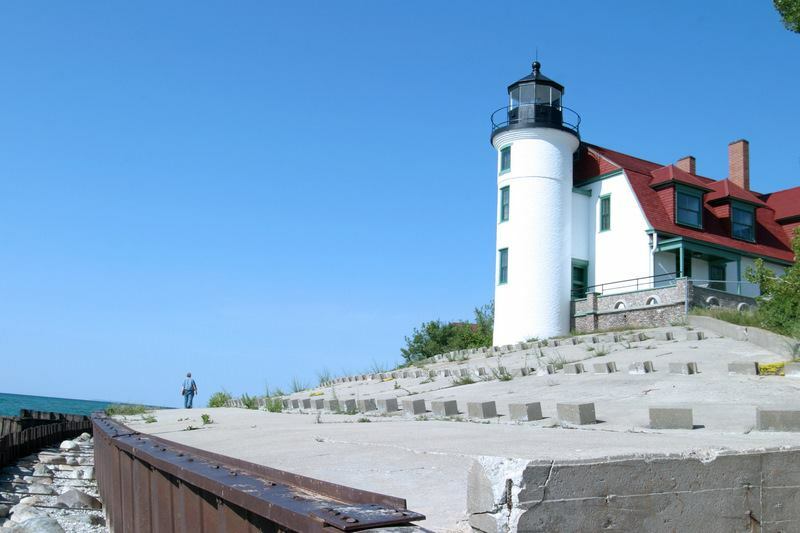 The light sat 52 feet above the lake on a bluff and had a range of 27.5 miles. 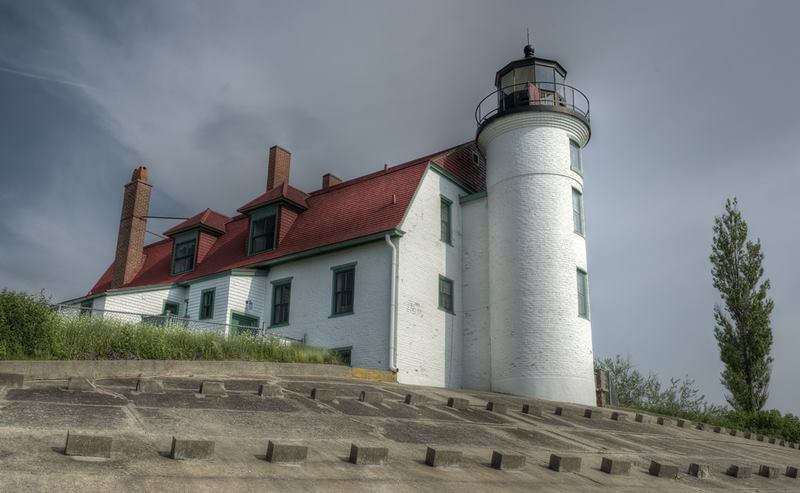 Currently the station was transferred to Benzie County under the terms of the National Historic Lighthouse Preservation Act in 2004 and, with the extensive leadership and volunteer power provided by The "Friends of Point Betsie Lighthouse" extensive restoration and renovation continues to this day. 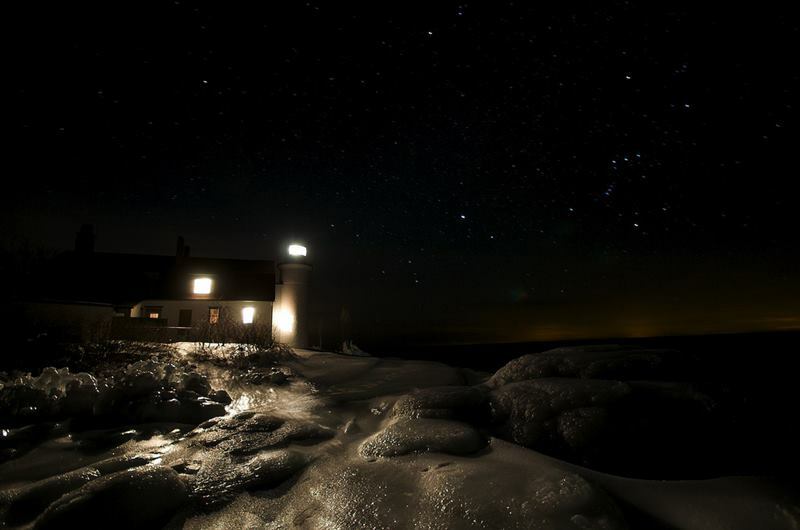 For example, the lightstation has been repainted to its original color scheme, which has not been seen since the 1940s. The site is open for tours on a seasonal basis. 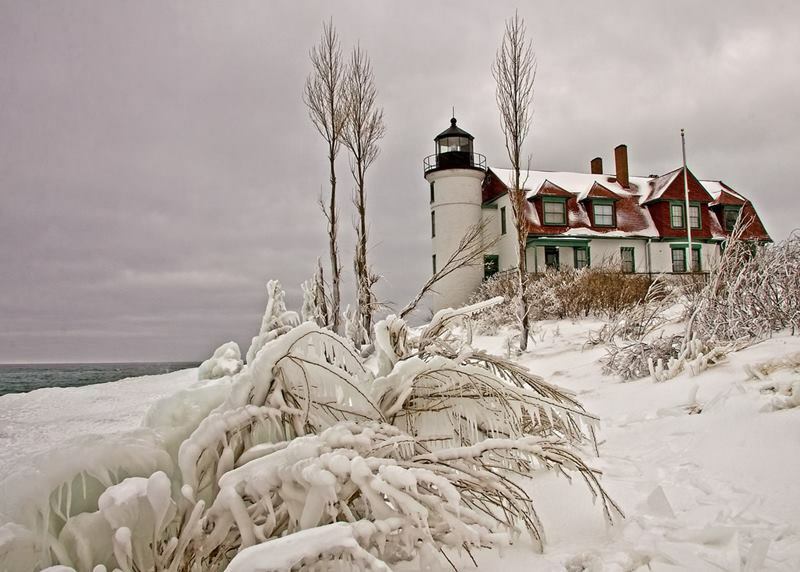 Point Betsie stands in quiet testimony to the many keepers who maintained the light while their wives maintained the household, tended gardens, and watched their children playfully explore the dunes. 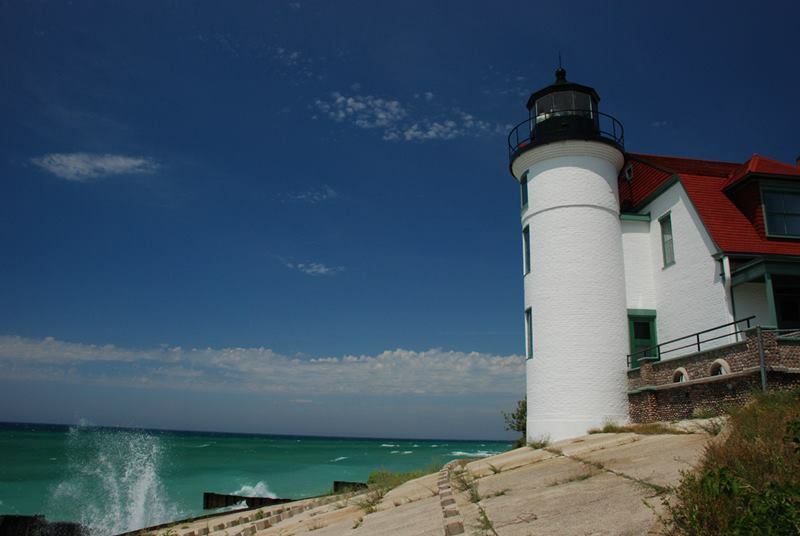 Listed on the National Register of Historic Places and Point Betsie is said to be one of America's most photographed lighthouses, and the most-visited attraction in Benzie County.